Wednesday: I only worked a half day so that I could drive home and start the Thanksgiving weekend! 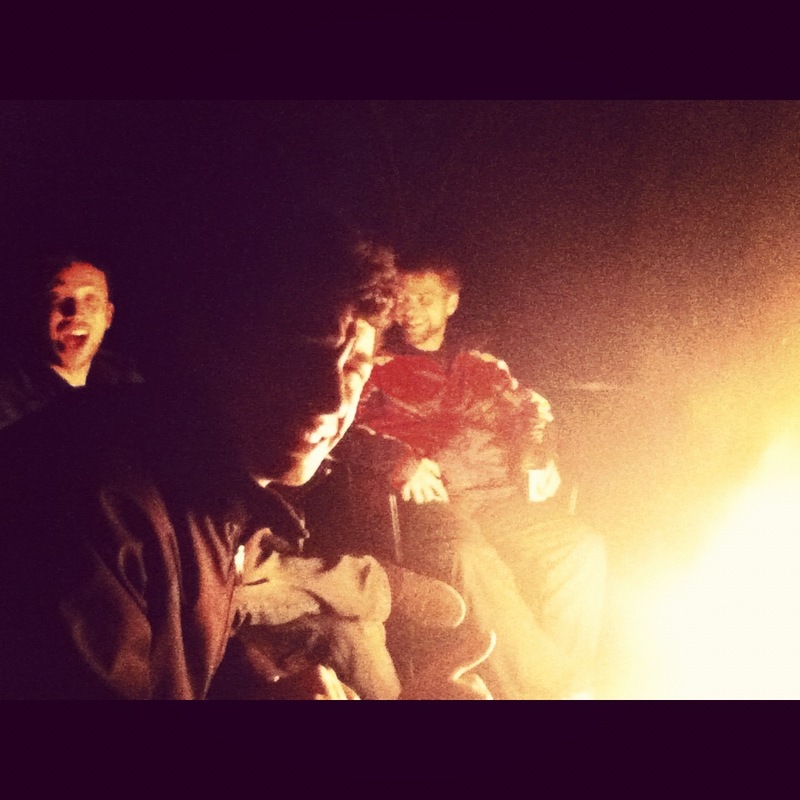 After eating dinner at home and watching some of Gone With the Wind that was on TV, I headed over to my friend Jacob’s house to hang out by their fire pit. Good conversation, great hot chocolate, and a warm cozy fire on a cool night- it doesn’t get much better! The fire was really hot, you guys. Thursday: Thanksgiving day!!! I started off by heading over to the next town over, Belleville, and running in their Thanksgiving Day 5K. It was my very first race and holy moly there were a TON of people. Seriously, like 900 people showed up. The rest of the day was nice and relaxing; cooking with my mom, watching football on TV, and eating our delicious Thanksgiving meal! 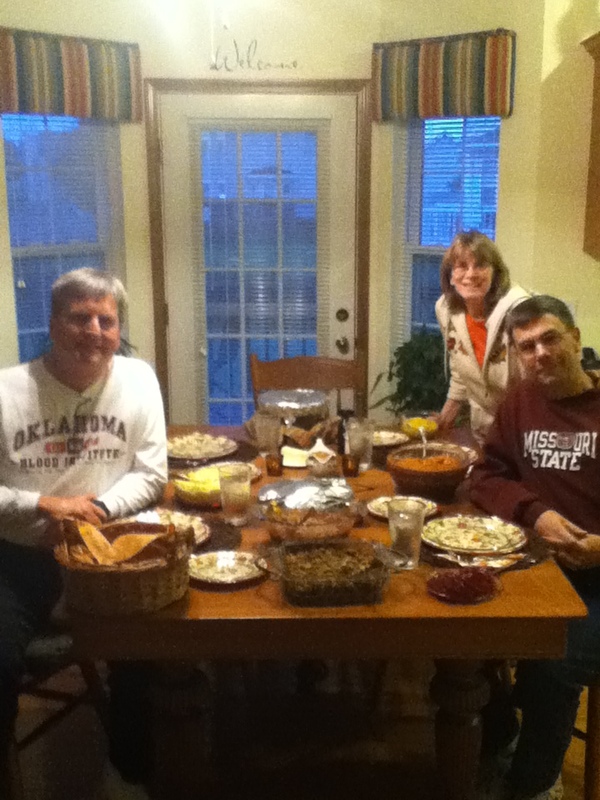 Our good family friend Rod, Mom, Dad, and FOOD! Friday: I started my day with a few doctor’s appointments (the chiropractor was my favorite!) 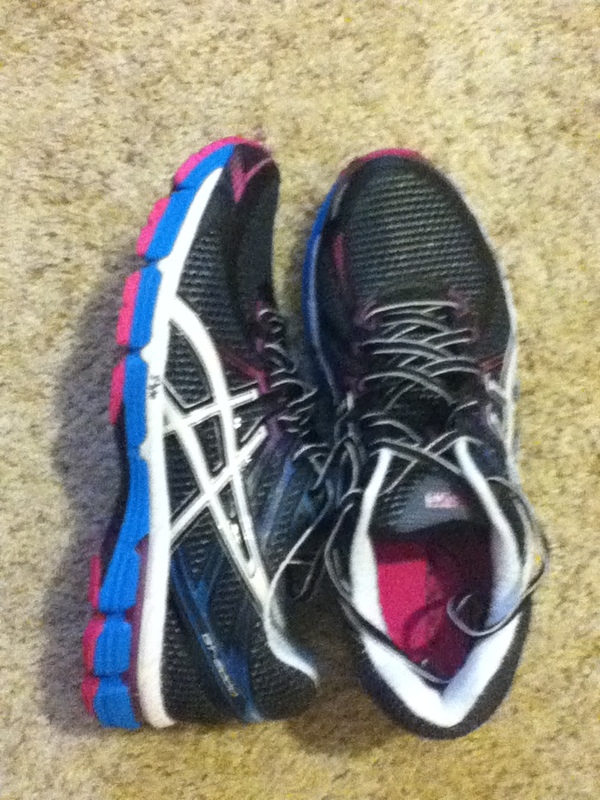 and then did a little shopping with my mom where I got an early Christmas gift- new running shoes! I’ve had my old pair for about 3 years and they are just falling apart all over the place, so it was definitely time to get a replacement pair! Later that afternoon I headed over to St. Louis to see my dear friend and old roomie, Jen! We went to the theater and saw Wreck-It Ralph and it was ADORABLE! Seriously, we both loved it! It was so good to see Jen and catch up and do a little shopping together as well- I miss that girl so much! Super cute AND super comfy! Saturday: To start my day, I went for a run around the neighborhood to try out my new shoes and oooh they are comfortable! I mean, really really comfy. I highly recommend you go and buy these shoes. ASAP. In the afternoon I went to go see the movie Lincoln with my family and it was extremely well done. The acting was fantastic and there were just enough funny parts to make such a dramatic movie seem a little lighter. 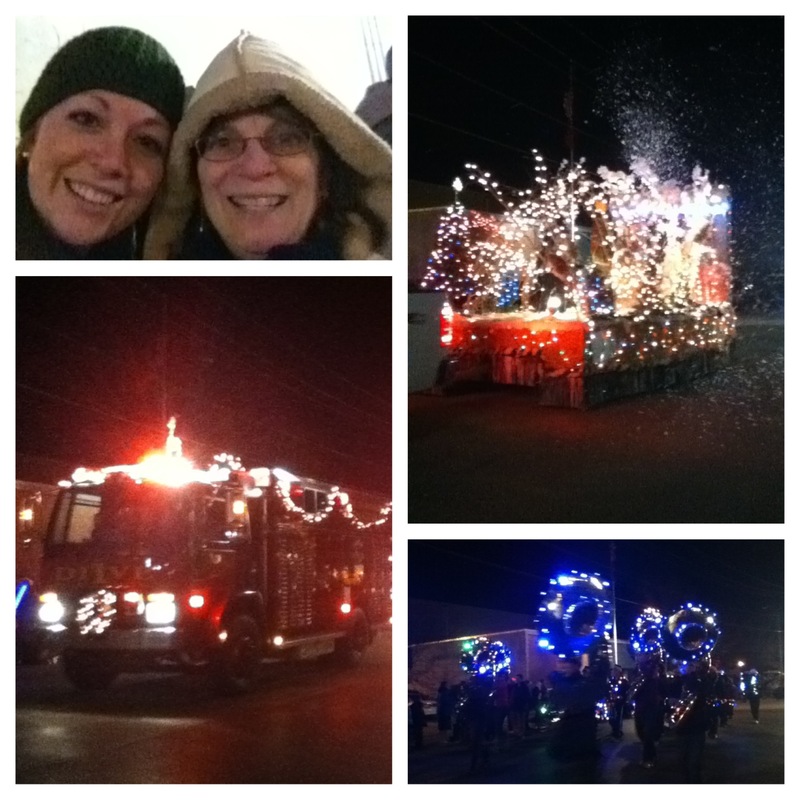 Next, we all went to the O’Fallon Christmas Parade! It was SO cold outside, but definitely worth it to get a few tootsie rolls, see all the illuminated floats, and hear the marching band playing Christmas music as they marched by. To finish out the day and my Thanksgiving vacation, I headed over to my friend Heather’s house where I got to see some of my favorite friends from high school! I don’t go back home too often, so sadly I don’t get to see these girls all that much, but it was so fun to catch up, laugh about old times, and meet Heather’s new adorable son, Greyson! Seriously, he is so stinkin’ cute. Even the tubas had lights! That was my weekend! Very busy but still very relaxing and I can’t wait to go home again for Christmas!